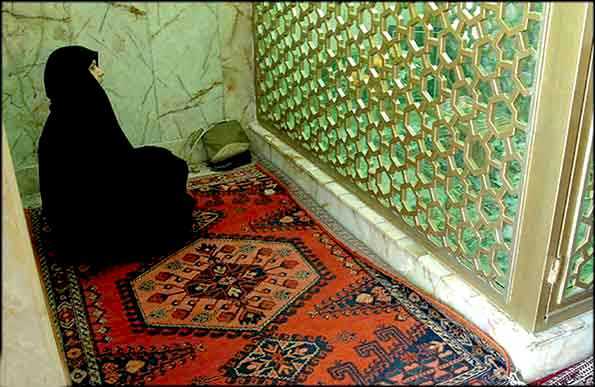 Golpayegan District is in the north of Isfahan Province close to the Southern edge of Arak Province. 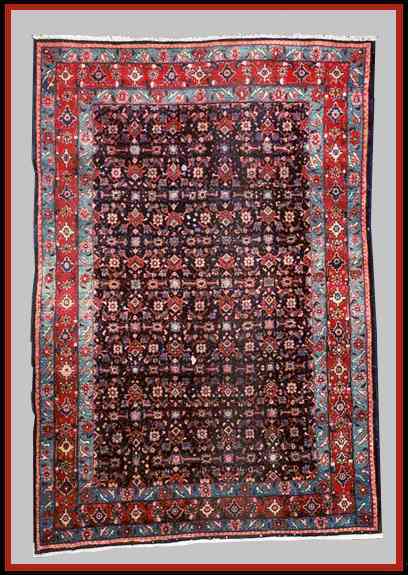 Golpayegan is also a town near Viss and they both produce the same sorts of carpet. 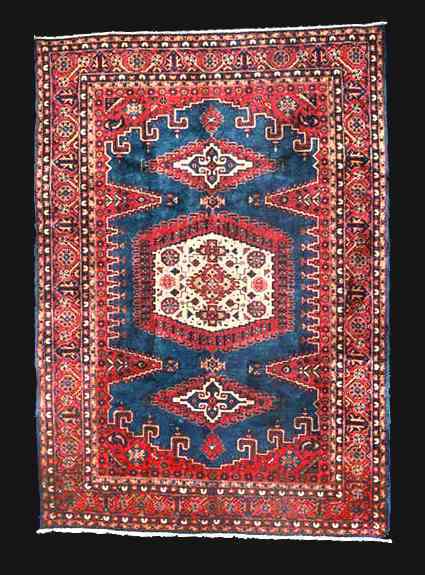 Located 90 miles (145 km) northwest of Isfahan it is a small regional market center of just over 35,000 people. 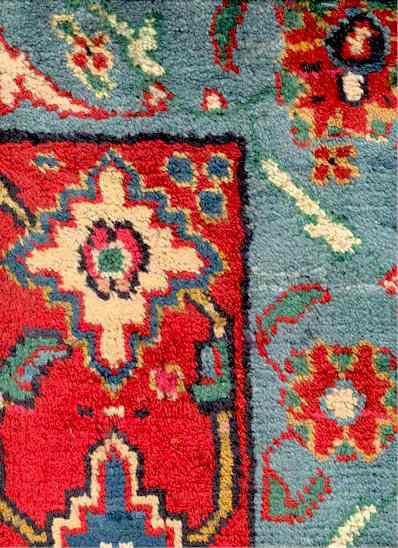 The carpets of the region tend to be like coarse Arak rugs but tend to be thick well made rugs with good wool. Warp: 1 ply ivory, blue, cotton. Weft: 2 shots blue cotton. Ends: Post-hitch wharf binding with 1 inch warp fringe. Selvages: Single cord overcastting blue wool. Handle: Heavy, soft wool, durable, dense, stiff. 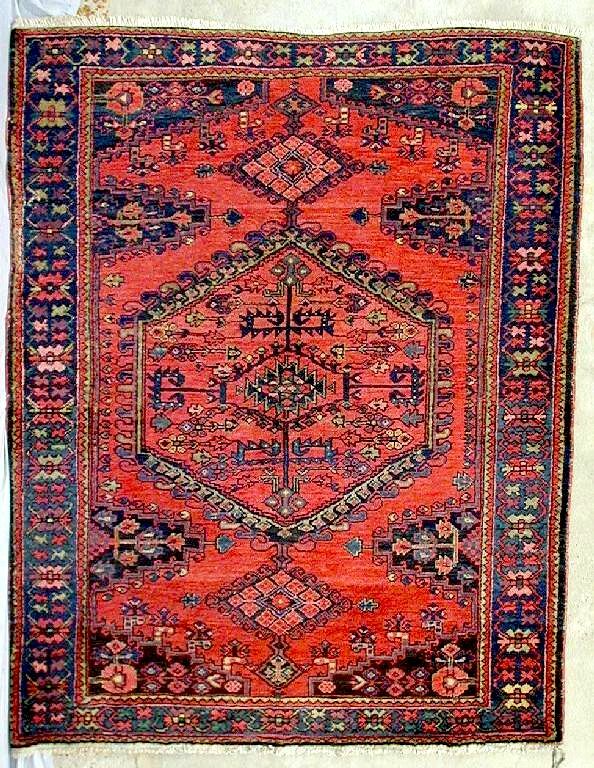 Sarouk Carpet. Vist, Iran, Mid 20th century. Size: 7 foot 2 inch by 10 foot 7 inch.